We're doin' great and we're busy busy training for a whole host of races and events. Phew I'm just tired thinking about it, but not too tired to share it with you! Need a training program? We have options! Need to know what to do? We have answers! Wait, what's an Aquathon ? It's a swim, run event skipping that pesky ole' bike part of the triathlon. Who? The training is for YOU, but the coach is none other than Kayla! Sign. Up. Now. 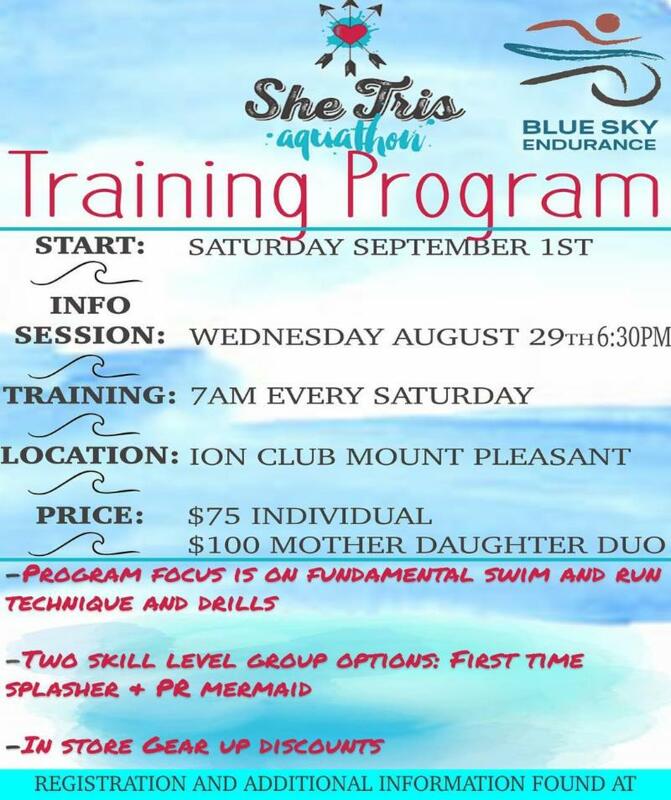 Don't miss out learning from our resident mermaid. Not enough out there for you? Not feeling the run vibe? Feel like swimming with the fishes and living to tell the tale? Swimming - are you racing the last Charleston Sprint Triathlon August 12th, but feel a little freaked out about swimming in James Island County Park lake? No problem! 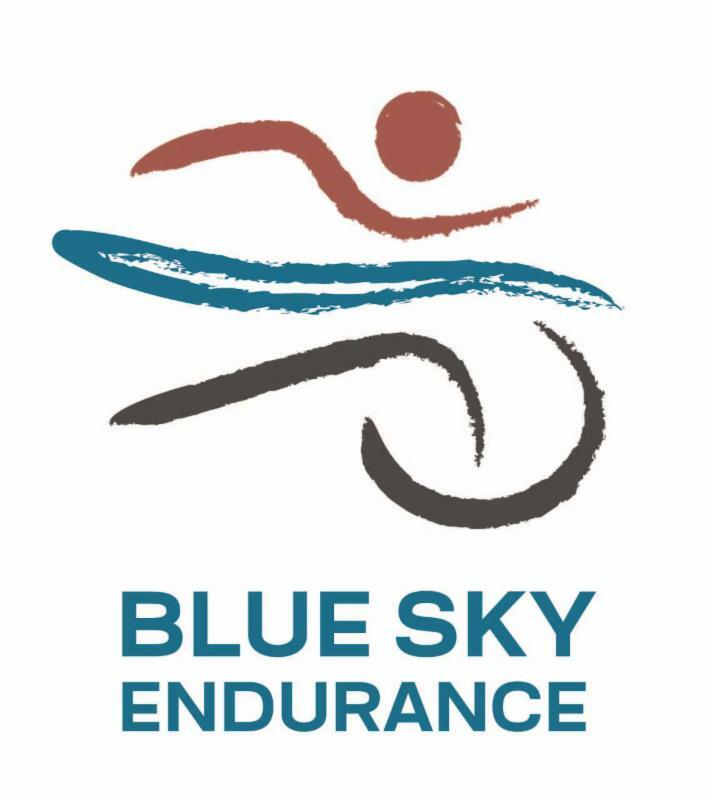 We have one more open water swim clinic ON THE RACE COURSE! Practice getting used to open water swimming including: sighting, starts, exits, and swimming around the buoys-- Don't miss out on these great opportunities. a 1 mile, 2.5 mile or 5k swim starting in from of the Windjammer, Isle of Palms. Benefits - Operation Restored Warrior (ORW), established in 2008 to meet the needs of our Military men and women who are suffering from Post Traumatic Stress Disorder and Combat Related Stress. Don't increase distance too much right away! Want a recipe for disaster in the form of an injury, then jump right in to long distance. Want success and happiness for ever and ever, then gradually add distance to your running. Rome wasn't built in a day and neither is your run-ready body. You need to give your tendons and ligaments time to catch up to your brain. Your brain is nuts and wants everything to happen now, right now. The general rule of thumb is to add 10% to your total weekly mileage each week, followed by a recovery week every 3-4 weeks (recovery means cutting back on your long run that week). Be consistent - Sorry folks success requires committment and consistency. Make a plan, hire a coach, find a training plan online, whatever you do come up with a plan of action and STICK TO IT. Yes, yes I know there's no fun in that, but if you want to stay injury free and be successful in your light speed then please get out there and get moving. Rome wasn't build in a day-- haha I know I already said that, I'm just keeping you on your toes. Longer runs should be slower runs- Your long run is all about time on your feet and adding miles to your repertoire NOT about being Mario Andretti (Wait, do you even know who that is? . There is a time and place for speed. Your weekly long run is not that place. Eat Papa Eat - Make sure to pay close attention to your nutrition as you add miles. This is not the time to cut calories. Your body needs PROPER fuel to have energy for your workout as well as energy to recover and rebuild after your workout. Please, please, please don't skip out on those precious calories. Calories are friends, not foes. Eat the right food, use them appropriately and you'll be bouncing down the street enjoying your many miles. Usain Bolt thinks that you're insane for doing any distance over 400 meters, remember that. Don't be intimidated by people who seem more like 'runners' because they're doing crazy stupid distance (myself included, I do stupid things....). If you run any distance, you're a runner. Increasing distance to go long is possible for anyone but don't break the rules. And for the record, if I said it in ALL CAPS it's really important. Write it down. There will be a test. Okay, okay that's not what our featured product is, but we at BSE are really cool expert people. At least I think so. Please don't burst my bubble. In all seriousness, CEP is a brand of compression running socks and calf sleeves and cool expert people wear them when they're racing and training (cue chariots of fire music with Meb Keflezighi and Andy Potts running super fast). What's so cool about this 'intelligent sportswear'? -- As the company so eloquently states " CEP Compression protects your body during activity, helps stabilize muscles and joints after injuries, speeds recovery and helps conserve energy for when you need it most. 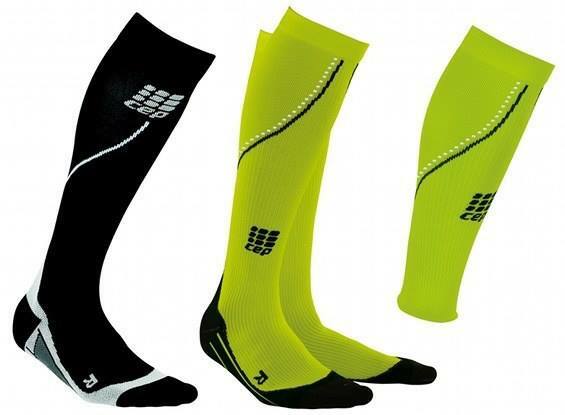 Our collection of compression sleeves, socks, tights and clothing enhance performance and recovery through the targeted use of compression to improve blood circulation and speed up lactate metabolism." Sign me up!! BUT WAIT THERE'S MORE! Mention this newsletter and for the WHOLE MONTH OF SEPTEMBER you will get 15% off CEP compression socks and calf sleeves. Yes, I did really say that. And I used CAPS so you know I mean it. Eating for the Endurance Athlete: An exercise in mindful eating. There may be a lot of conflicting info out there about proper nutrition, but it doesn’t mean there is only ONE right answer for everyone, it’s about figuring which parts of which ones come together to work for you! When it comes to endurance athletics, the one thing that we have in common is just how different we are, especially as we approach hours 4, 6, 8 and beyond. Our body chemistry and dietary needs are very individual and sometimes unpredictable. You probably approach endurance sports with this individuality in mind, and are really only competing against yourself, with the greatest accomplishment being crossing the finish line. However, you might be approaching your nutrition from a more ‘one-size-fits-all’ approach looking for the magic combination that worked for someone else. From keto to carb-centric, you can find an elite athlete who will swear by their “secret”. But what truly is their “secret”? The secret is developing the skill of listening to your body and interpret what it’s telling you, and this is where your individual event becomes a team sport! Talk to doctors, nutrition experts, and other athletes. But first, understand your own needs when it comes to eating. The most successful athletes stick with their plan. What stands in your way? Does a heavily restricted diet fit into your lifestyle? Can it work with your relationships with family, friends, and work? Ultimately the eating plan that will work for you the best is one that you actually like, and doesn’t distract you from your other priorities. Choosing a ‘difficult’ diet most often leads to abandoning. Longer compliance is what is needed, not ‘fast results’. With this mindful approach, you can find the zone that gives you the greatest rewards both on and off the course, and then you’ll truly be winning! 'Today I will live in the moment, unless the moment is unpleasant and then I will eat a cookie' ...sorry Ken, but the truth hurts sometimes. Look out world we have a new superstar in our neck fo the woods and man did she look GREAT wearing her Blue Sky threads. 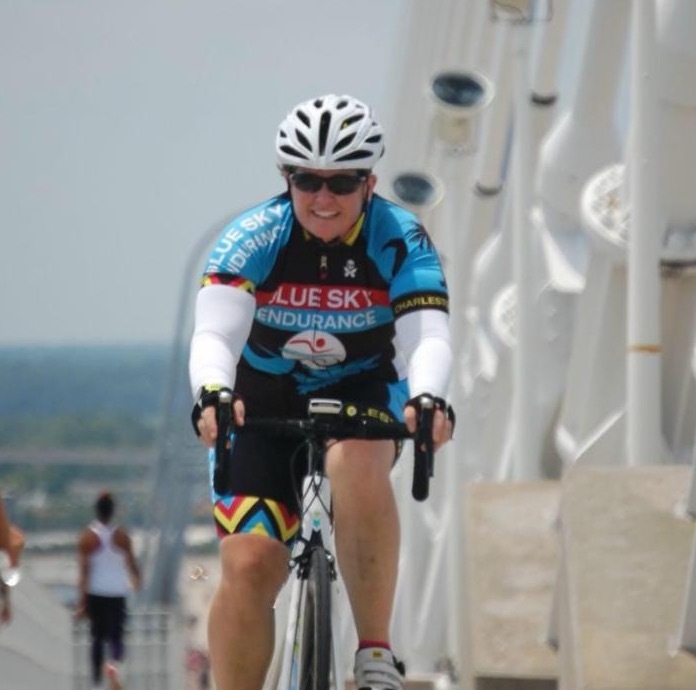 Congrats Ashley Gardner you wore it well on your massive 252 mile bike ride across South Carolina for a Ride to Remember. 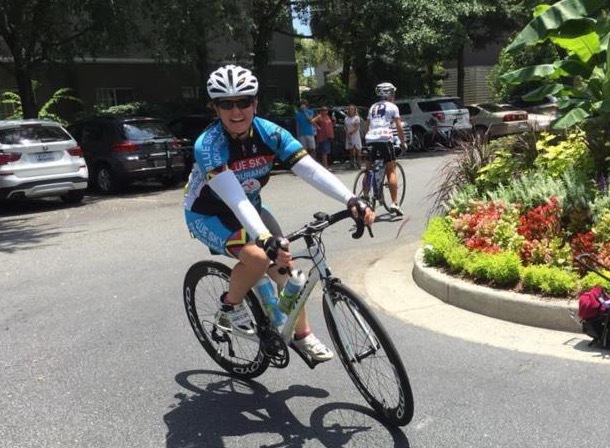 The ride raised money for the care, support, and research efforts of the Alzheimer Association. We're so happy to hear about your awesome ride surrounded by your awesome friends! Thanks for sporting our cycling kit as you were out being a do-gooder. Even though you didn't ask for it, we'd like to reward you for your awesomeness with a Blue Sky PRIZE (yes CAPS again!). Stop by anytime during the month of August and pick up your goody. Big virtual hug to you too! "I could be a morning person if mornings happened around noon"
RISE & RUN . Get on up and GET OUT ! You, yes you, need to join us for our early morning Rise&Run sessions. Each month I'll keep posting pictures of a sunrise we've actually experienced. 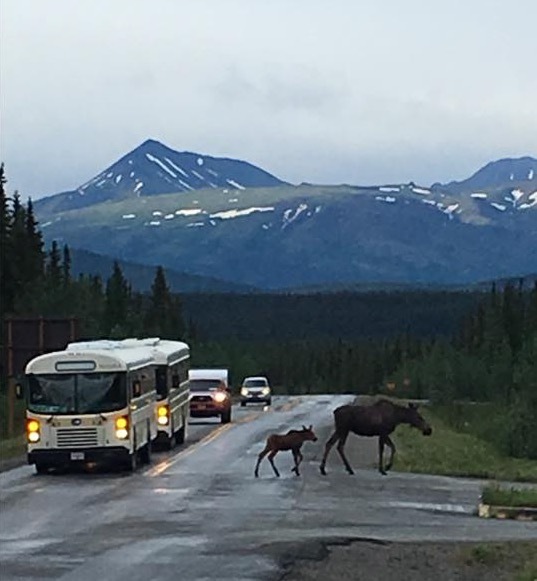 Sorry you won't see this scene on Thursdays, but I did see this on a morning run in Alaska. I thought it might get your attention.